The following is from interview with the St. Petersburg Times. Why did you decide to leave the Episcopal Church? I really do believe that the Episcopal Church kind of left me. They have moved to adopt positions and attitudes that are at odds with where the rest of the Anglican Communion is and where I am. And so in that sense, I’ve not really changed that much. But they have. Why not stay put and practice your beliefs in your own church? That’s obviously something I tried to do. But the problem I had is that most of the congregation here felt they could no longer continue in that mode, and in fact, we lost over 100 families. They voted with their feet. We’re actually now facing potentially the largest lawsuit the Episcopal Church has ever initiated against congregations. They are trying to evict us and indeed to take all of our property and all of our resources away from us. … Our replacement cost is estimated at about $30-million, and we’re just one of the churches. The Episcopal Church claims it holds this property in trust. Why do you think you have a right to the property? I would have to question why would anybody else feel they have the right. If you’d lived in your home for generations and you’d paid for it and picked it up and maintained it for generations you wouldn’t ask the questions why somebody else has a right to it. Read the the entire interview here. 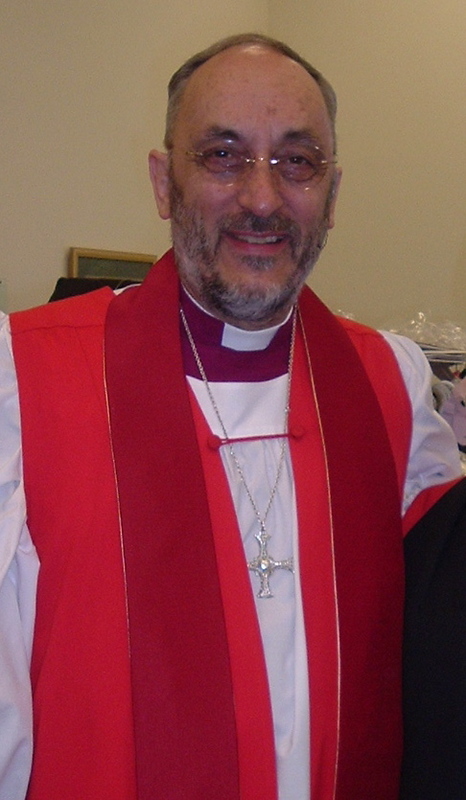 Looks like your archbishop has been < HREF="http://www.sunnewsonline.com/webpages/news/national/2007/june/10/national-10-06-2007-01.htm" REL="nofollow">caught in corruption and sleazy doings<>. Are you absolutely positive this is the man you want to follow? Does it matter if it’s a tabliod? Is it true or not? And while you’re at it, animal sacrifices at a private ceremony after Akinola’s consecration? True or not? Instigating Christians to riot and kill Muslims? True or not?